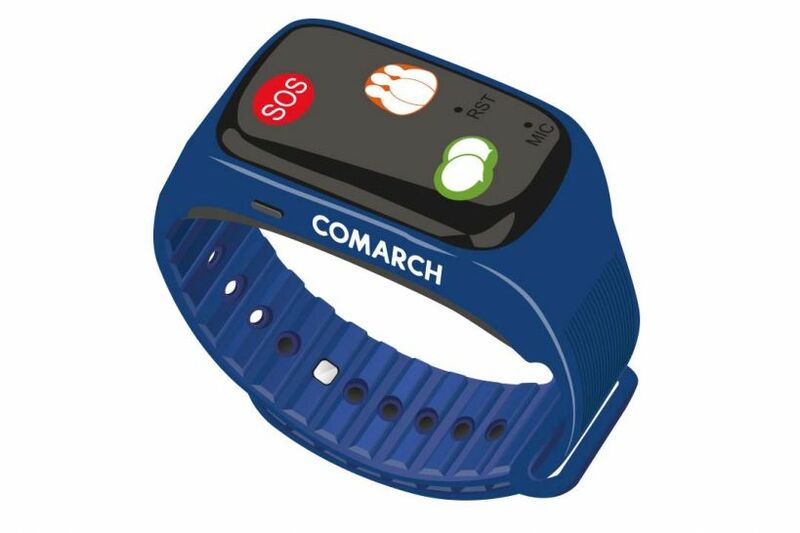 Comarch e-CareBand is an element of the care system that increases patients’ security and gives them greater independence. It never needs to be removed, it is waterproof, and has a long battery life. It has an SOS button which enables the patient to contact the Telecare Center and request help. The sensor in the bracelet detects loss of consciousness and automatically alerts the Telecare Center. The built-in Health Card allows medical staff to read, on a smartphone or tablet, the patient’s principal medical data (synchronization with EHR), such as personal data, age, blood group, allergies, diagnosed illnesses, prescribed medications, and contact details for the next of kin. 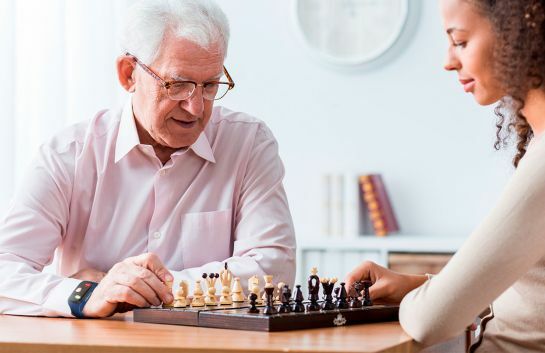 The device and telecare (available 24 hours a day, all days a week, including holidays) are part of Remote Care for Seniors prepared by Comarch Healthcare. Medical facilities may remotely monitor patients' condition, who gain a sense of independence and security. Thanks to the use of modern telecare technologies, local governments improve the quality of health services in the region, while relieving health facilities. Patient with e-CareBand is under constant care from Telecare Centre. E-CareBand is equipped with a SOS button, a GPS module that allows patient localisation and heart rate monitor. The device has also a button to answer and end calls. A patient can use it to call the Telecare Centre and inform, for example, about feeling unwell. Paramedics can, if necessary, call an ambulance. They can also initiate a connection with the patient. 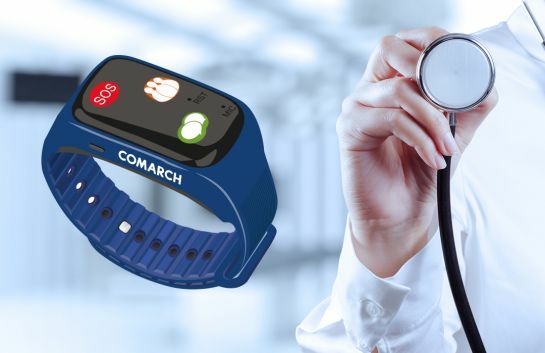 If the battery level in the device is dangerously low, the e-CareBand will automatically send such information to the Telecare Centre and the medical staff will remind patient to charge the device.